The Aston Martin that features in the latest James Bond movie is to be auctioned in aid of charity. 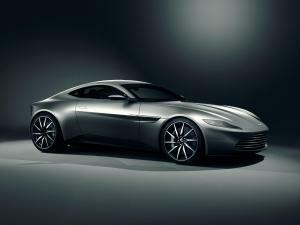 The DB 10 appears in Spectre and is one of just 10 of the British-made vehicles to be built to feature in the film. This one, which will go under the hammer at Christie’s in London next month to raise money for the medical charity Médecins Sans Frontières, is the only one that is being made available for private ownership. You may not have a rare Aston Martin in your showroom, but it’s important to have the right level of motor trade insurance to cover the type of cars you have in stock, whether they are classics, prestige motors or general day to day vehicles with mass market appeal. As part of your cover, you should also check that your road risks insurance policy is adequate for the needs of your business. The DB 10 driven by Daniel Craig in Spectre is a bespoke model made by craftsmen at Aston Martin’s base in Gaydon. It is one of just two that were not modified for use in the movie and remains in showroom condition. The car is also signed by Daniel Craig and is the one that appeared at the world premiere of the film in London, AM-Online reported. It has a 4.7-litre V8 petrol engine, a six-speed manual gearbox and an estimated top speed of 190 mph. Inside the carbon fibre built vehicle is fitted out with leather upholstery, aluminium and carbon fibre. The DB 10 is the first ever Aston Martin to be awarded a platinum rating by the Aston Martin Works Assured Provenance scheme, which is the marque’s official in-house authentication scheme. As part of the assurance programme, the vehicle has been digitally scanned and the information is stored by Aston Martin for future reference.